infrastructure available on hourly, daily or monthly basis. 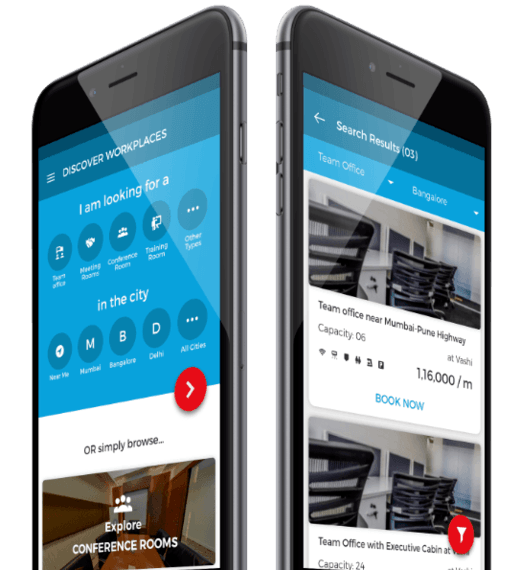 OfficingNow helps you to book fully well furnished, a ready to use training room across PAN India locations as per your specifications and convenience. These training rooms are ideal for corporates, Language training centres, IT, HR, BPO, NGO, Counselling, Group Training. We give you a wide variety of options and expert advice in just one click. Every training room from OfficingNow has basic amenities like free Wi-Fi, Whiteboard, drinking water. Some of the furnished training room has Projector, Parking facility for 2-wheeler and 4-wheeler. Book them according to your desired location, Size, time- frame and budget.